Your level can be seen on your profile, next to your user name. In order for us to recognize users that spend a great deal of their time collaborating with other users, we've implemented an automated point and level system. This feature is currently available with our social tools package. 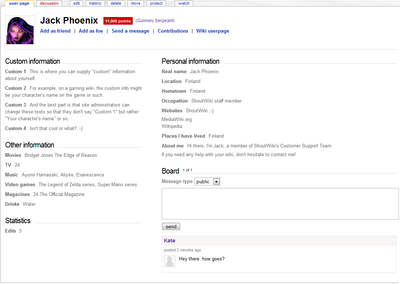 Every time you reach the next user level, it will appear on your profile page, and on every comment you leave. Note that abusing this point system will not be appreciated by other users and may result in action being taken against your account. Take a look at the tables below to see how the points and levels system works. Note that the numbers and names are only examples and are customizable.